Joker finally got his official reveal after the leak footage we got last week. Looking a little more like the Jared Leto portrayal of the Joker we get to see him go up against the likes of Superman, Green Lantern, and Robin. He shows off a plethora of new moves in his revel trailer including a crowbar, laughing gas, his iconic "bang" gun, and more. We also get to see Joker go straight Jason Todd on Robin in his impressive super move. 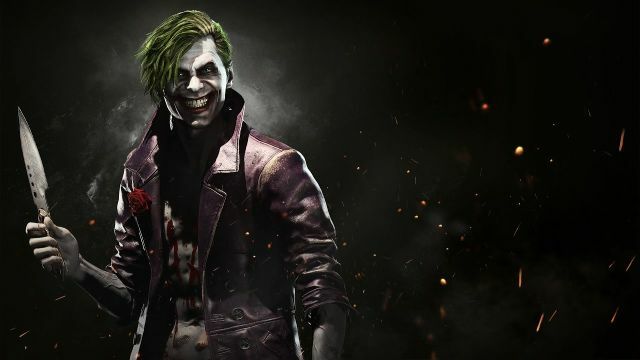 Netherrealm, the developers behind this game have said the Joker is the final base game character's to be reveled. There are 9 DLC characters yet to be reveled for this game which is the same amount of characters you can get for ordering the ultimate edition. We will keep you updated as those get released. Injustice 2 releases on May 19th for Xbox one.